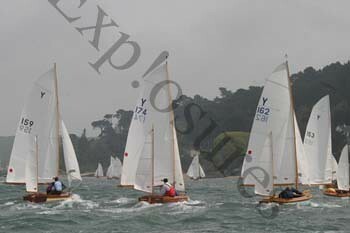 SYC club racing regularly on a Saturday, if you wish to find a crew check the Yawl crew listings on this site, or check in with SYC. 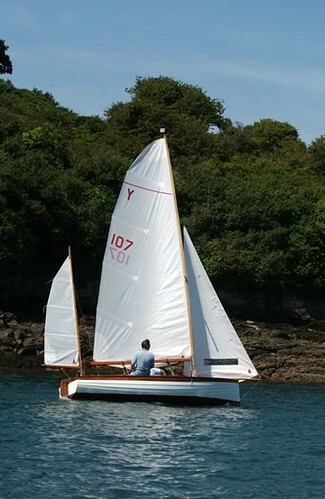 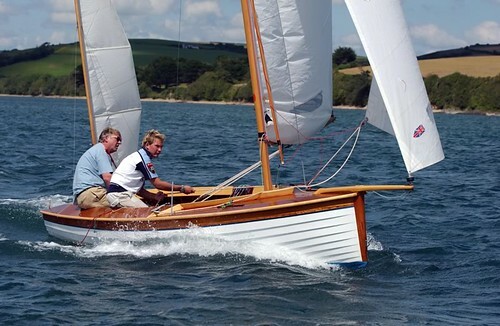 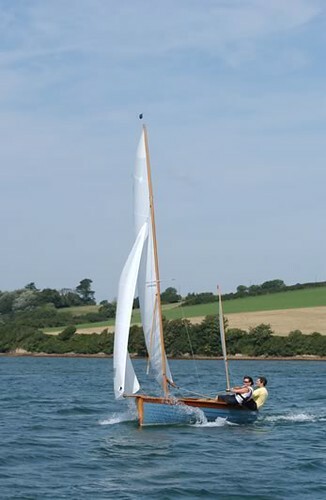 The modern Salcombe Yawl, built for racing and based entirely on the Salcombe Estuary in South Devon, has a history which goes back at least 200 years to straight stemmed, transom sterned, local fishing vessels. 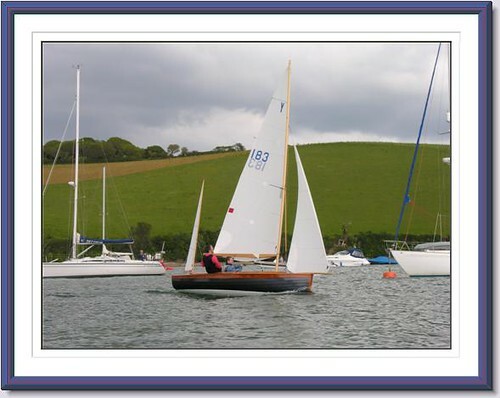 Certainly an 1806 drawing of a scene off Easton, on the Salcombe Estuary, shows a small yawl rigged vessel of exactly such a type. 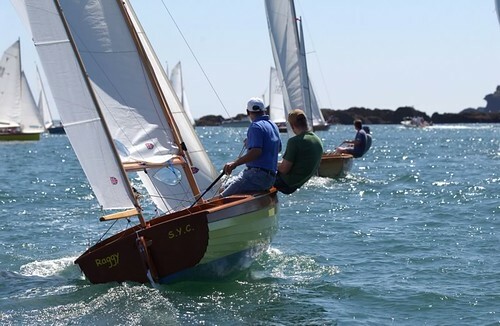 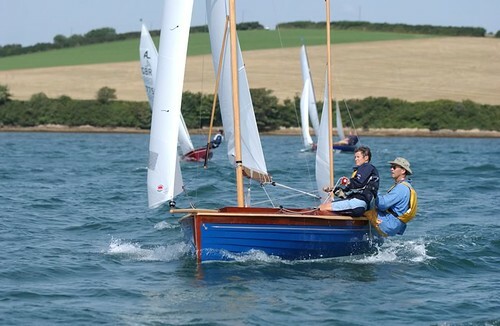 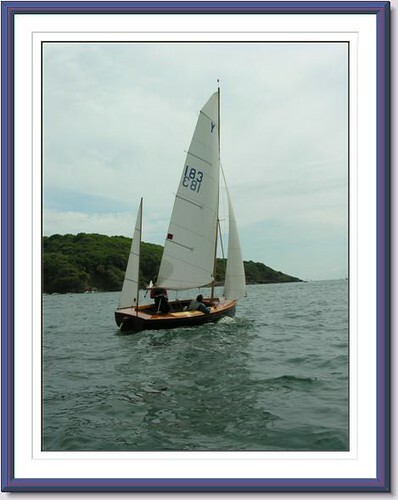 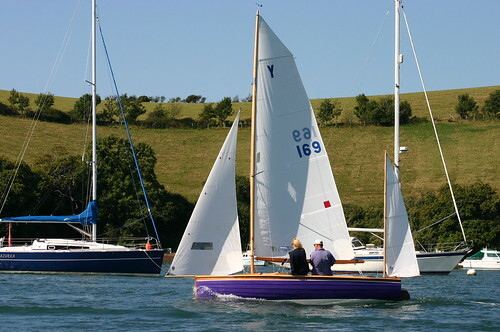 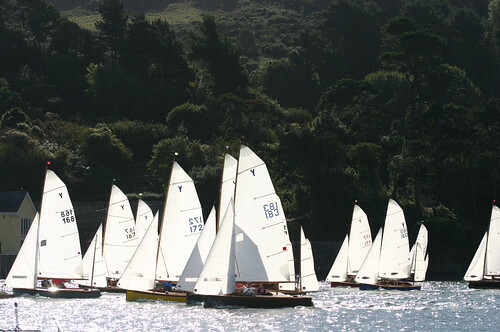 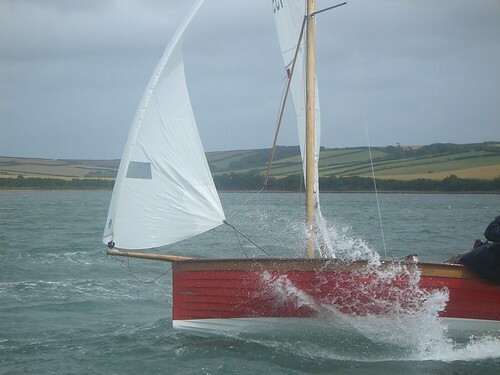 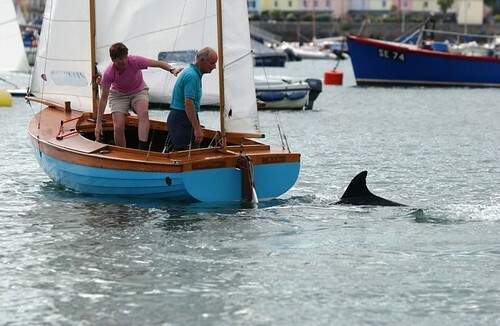 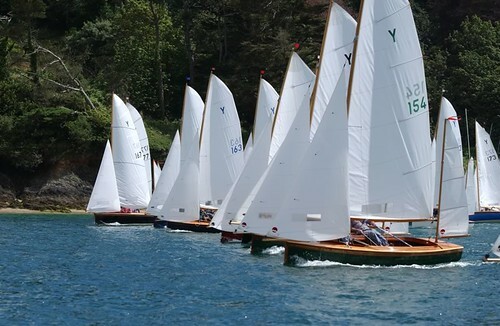 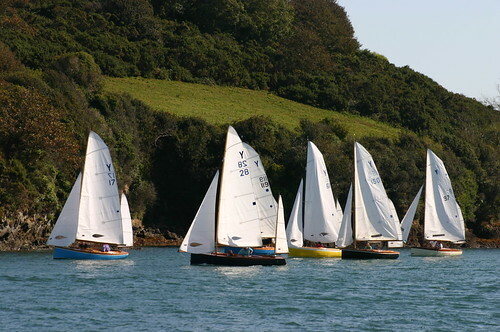 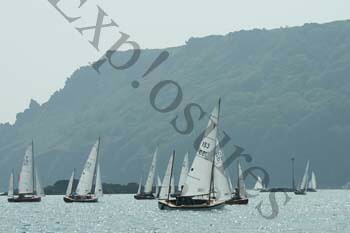 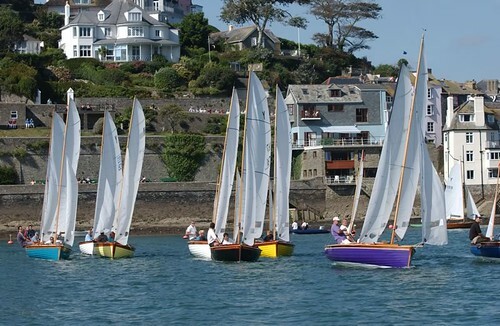 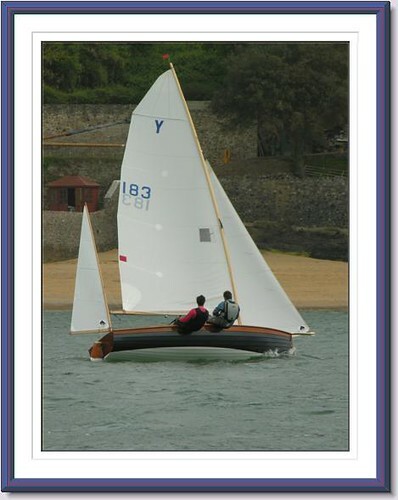 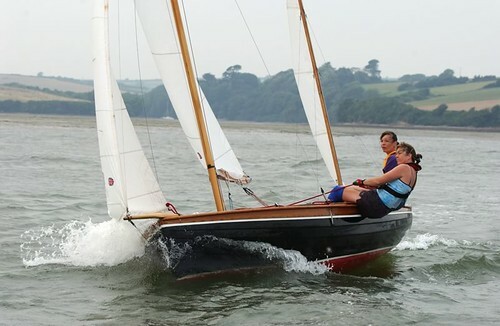 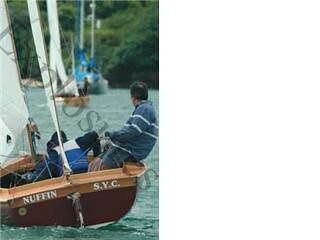 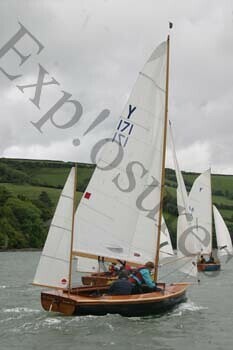 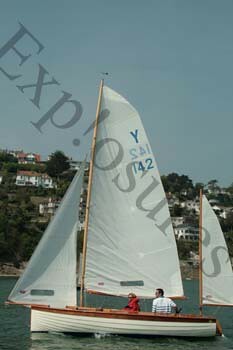 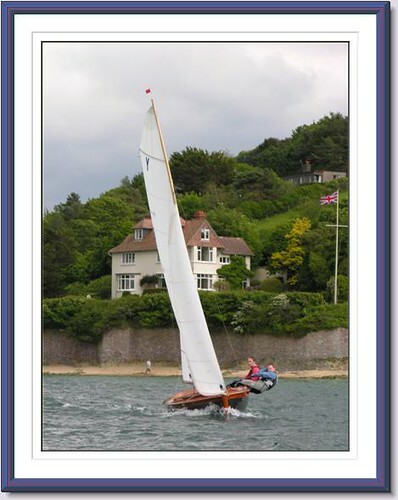 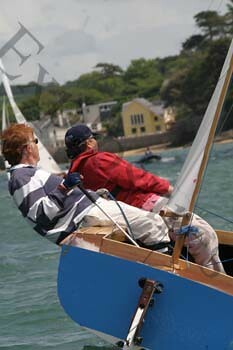 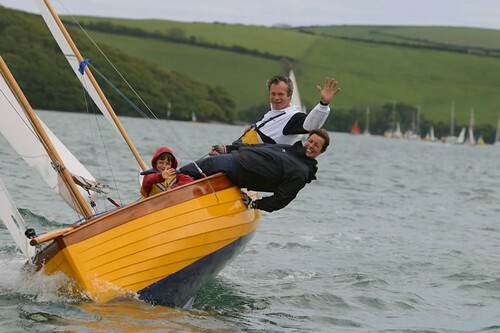 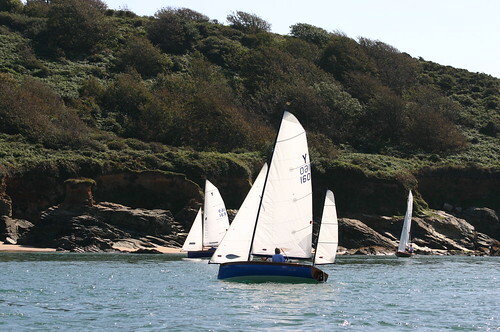 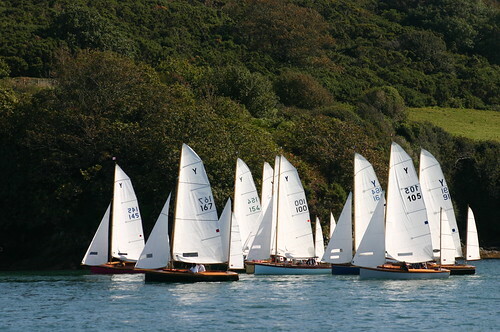 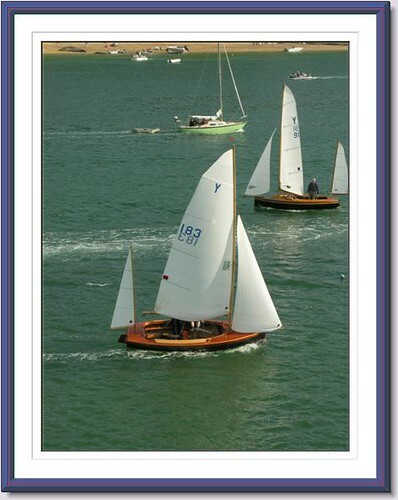 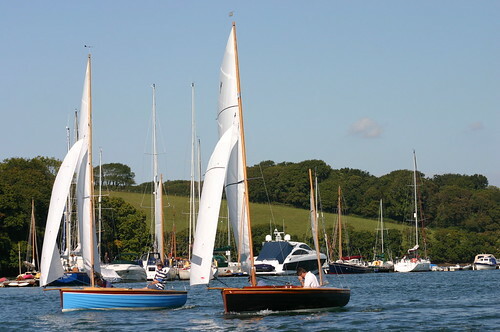 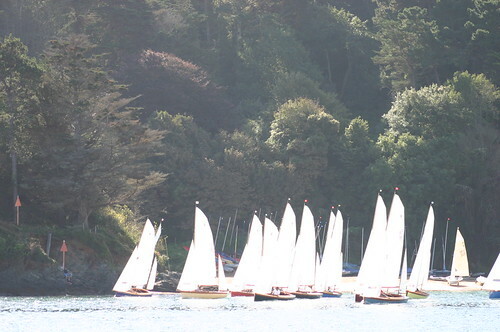 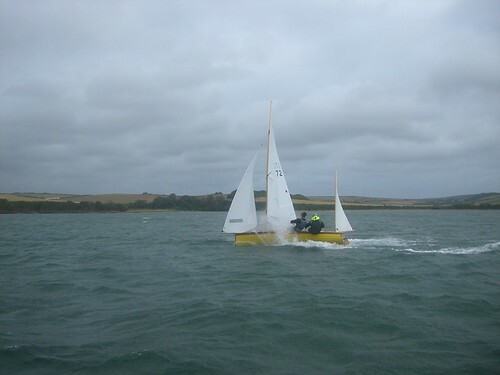 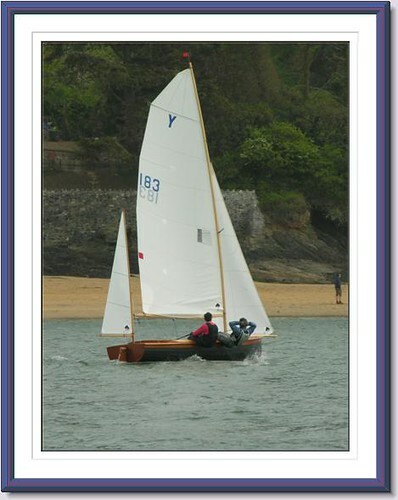 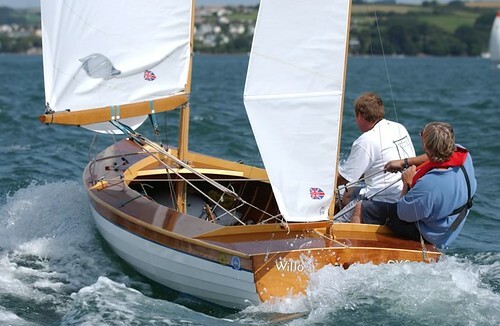 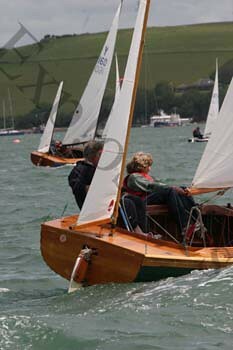 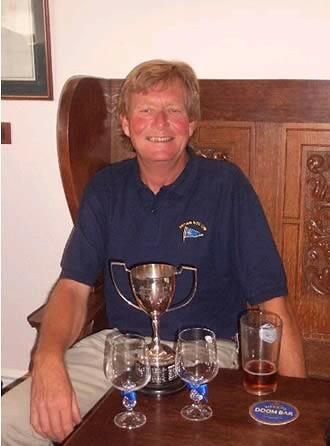 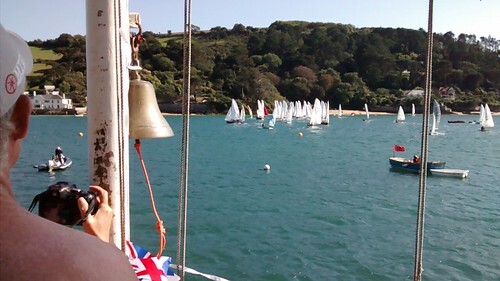 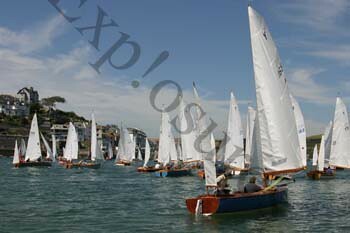 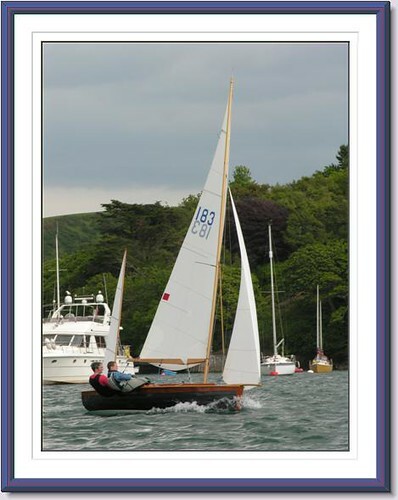 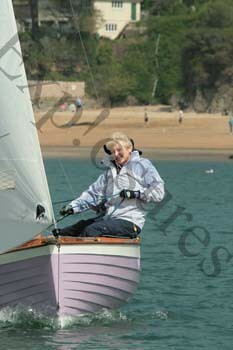 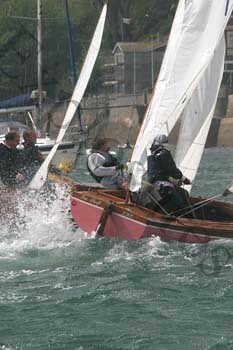 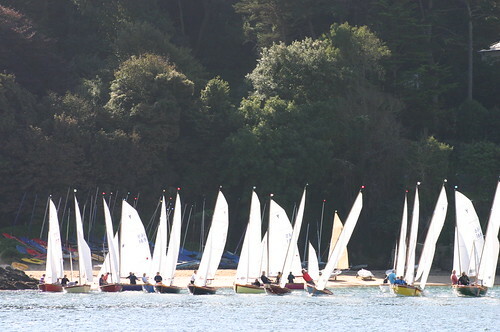 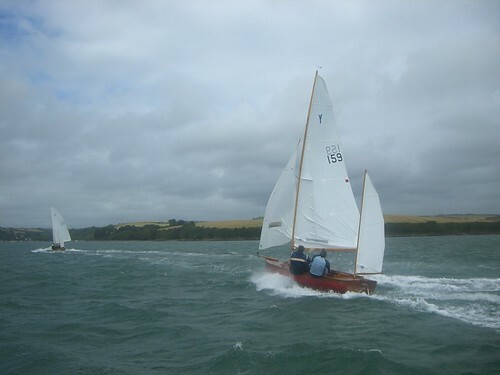 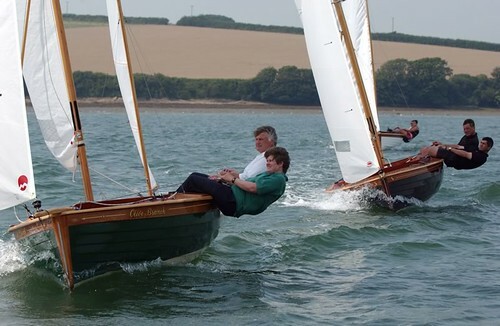 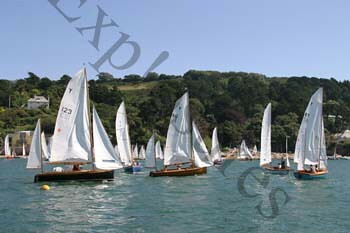 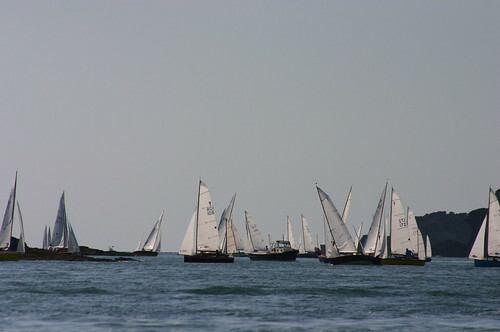 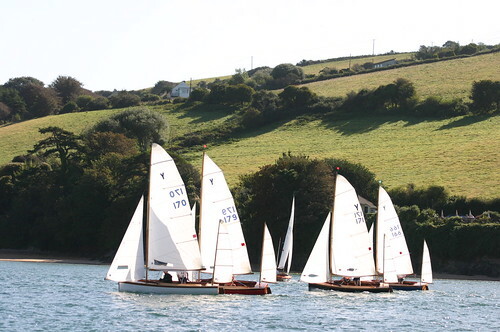 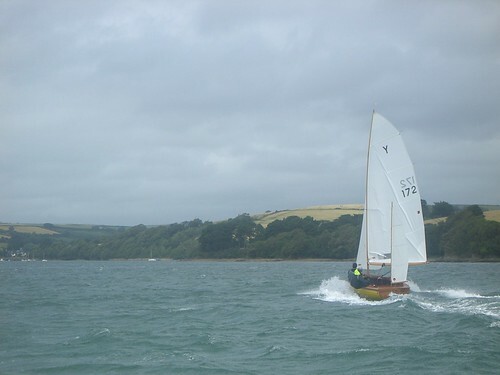 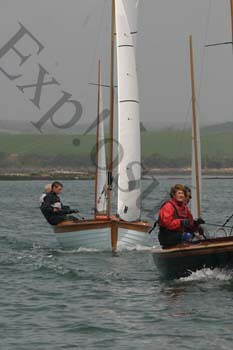 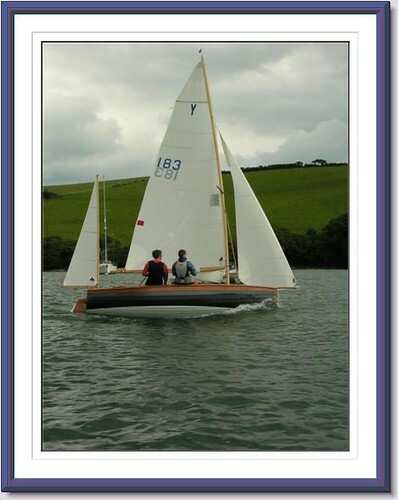 Find out more about SYOA's upcoming Yawl racing fixtures and other Salcombe based events.